Bin-Laden Killing-Did Washington Lie to UN & World? Contrary to response to UN questions and public image of Osama Bin-Laden’s killing, new book provides substantively different account than that of US Government. While few doubt that Osama Bin-Laden “deserved killing,” nonetheless, an execution of an unarmed person who put up no resistance did convince UN Human Rights officials to ask whether the operation by design as well as outcome was a “kill operation” in violation of the rule of law and international standards. Read our Blog for Film from last May: “UN Asks Was Bin-Laden Killing an Execution & Legal Under International Law”. 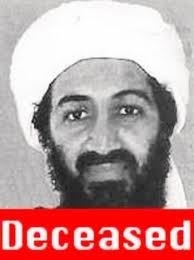 The revised picture does that not only Bin Laden did not offer any resistance but also once already shot in the head and probably dead, the Delta 6 Team pumped several more bullets into his chest. This is something that would have almost certainly have to have been charted out during detailed operation planning – the objective being a NOT ALIVE Bin-Laden to be arrested and prosecuted. The US Government has apparently changed its view on the role that the “rule of law” deserves in securing justice. When deciding what to do about the highest level Nazi officials captured at the violent end of WWII, the British favored summary execution while the US opted and prevailed in securing trials before a court. Ultimately, these trials served both a lesson in history and justice. Nuremberg was another victory over fascism beyond that achieved on the battlefield - perhaps a critical lesson for those that claim broad supra-legal powers in executing what they label as the "war on terror." 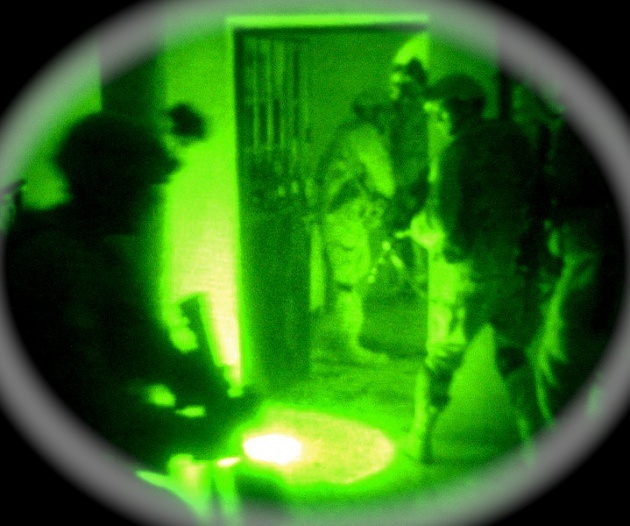 Washington officials now seek financial and legal sanctions to shut-up one of the Delta 6 Navy Seal team-members who authored a non-authorized version of the mission, “No Easy Day” under the alias of Mark Owen, (real name Matt Bissonnette according to broad media reports). Whether Mr. Bissonnette and his publisher derive any profits or potentially garner prosecution and prison from the book is not my first consideration. However, again it is proven that we cannot trust the Government’s own version of events, particularly the key details that distinguish illegality as well as different ethics from the assertions put in front of us for public consumption. This episode only further re-enforces in many people’s assessment the need for as well as legitimacy of Wikileaks and projects Julian Assange as more whistleblower than villain. 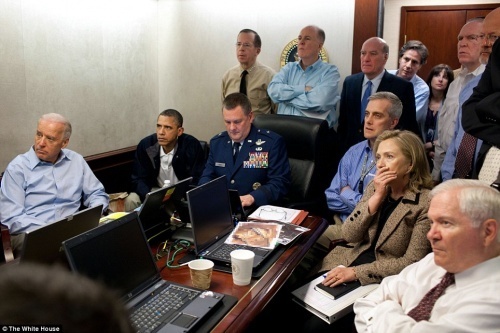 See our Film for Blog Report: “Osama Bin-Laden UN Reacts” . To fully grasp the implications of this event it is critical that the US and global public set aside their own personal view of Bin-Laden – he was a terrorist not hero but the rule of law and the public record deserved a trial. As in the case of Bosnian victims who have seen a handful of very bad offenders, mass rapists, torturers and genocide planners-executors, brought before the International Tribunal (ICTY), prosecution and trial have served to provide justice and at least degree of closure-beyond simple summary execution of culprits. It may have been most politically expedient for the US Government simply to execute Bin-Laden even though alive he may have also provided critical intelligence/insight. The conclusions that one may draw now from the “killing of Bin-Laden” is that it was an execution mission where neither US standards of the rule of law nor international legality were particularly given weight in planning or execution. The second conclusion: Washington will do whatever it can to make certain its version of the truth and history prevails in the mind of the US and global public. One day on the radio with my friends.